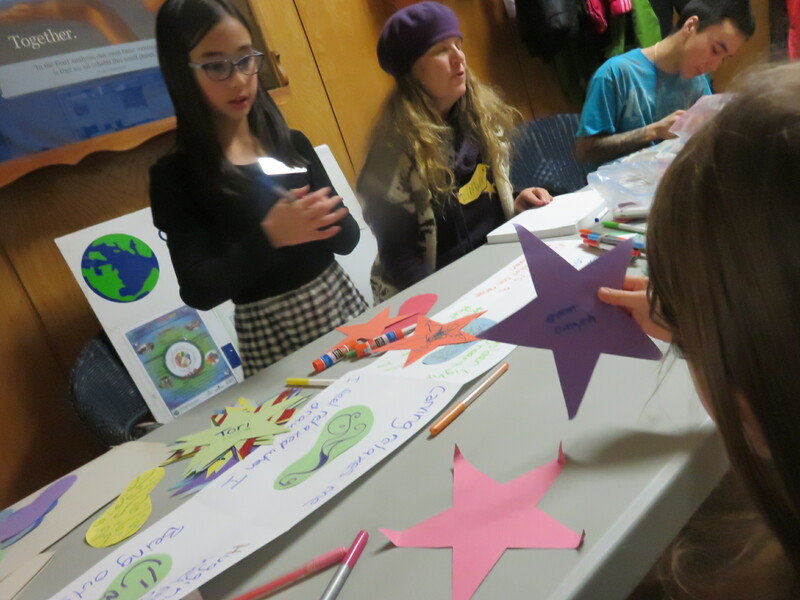 Inclusive Leaders everywhere are invited to create opportunities in your local communities for children to share leadership with you. 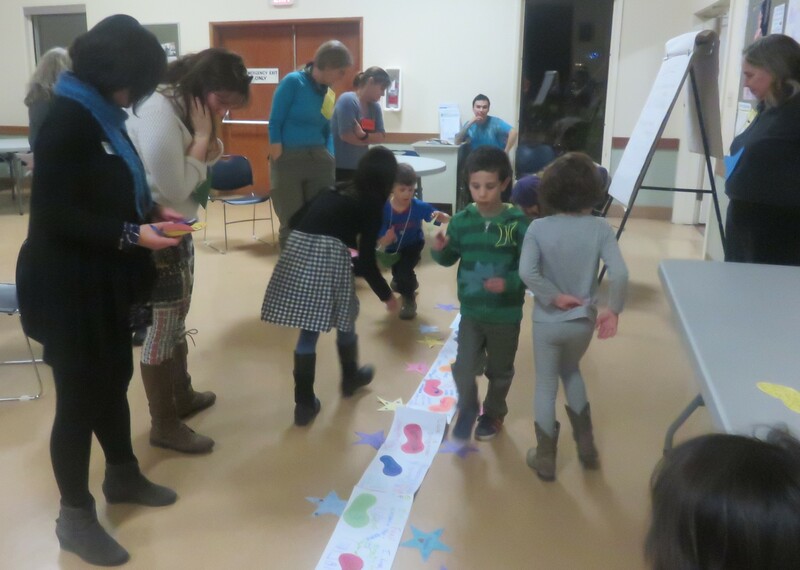 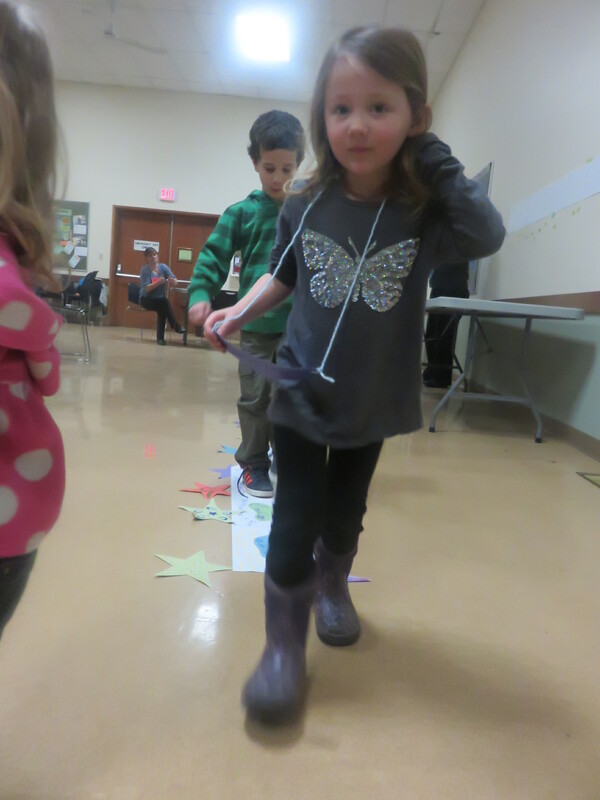 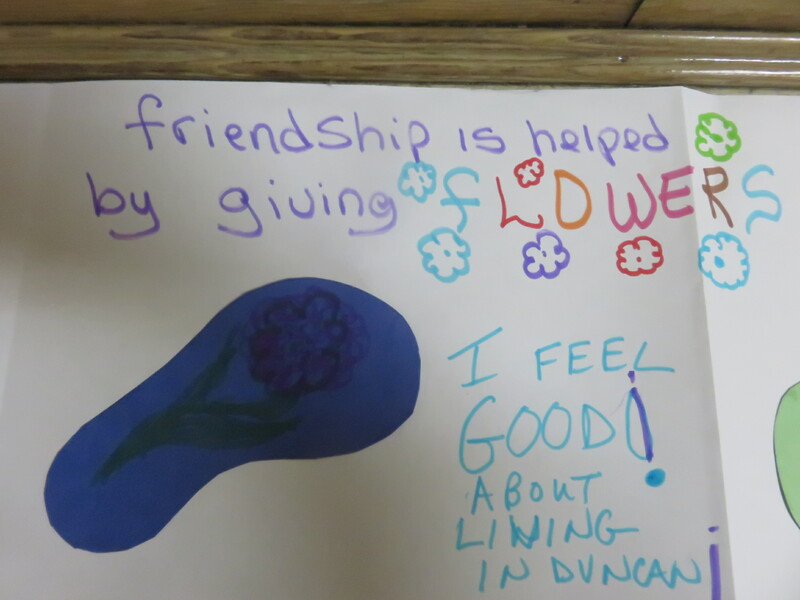 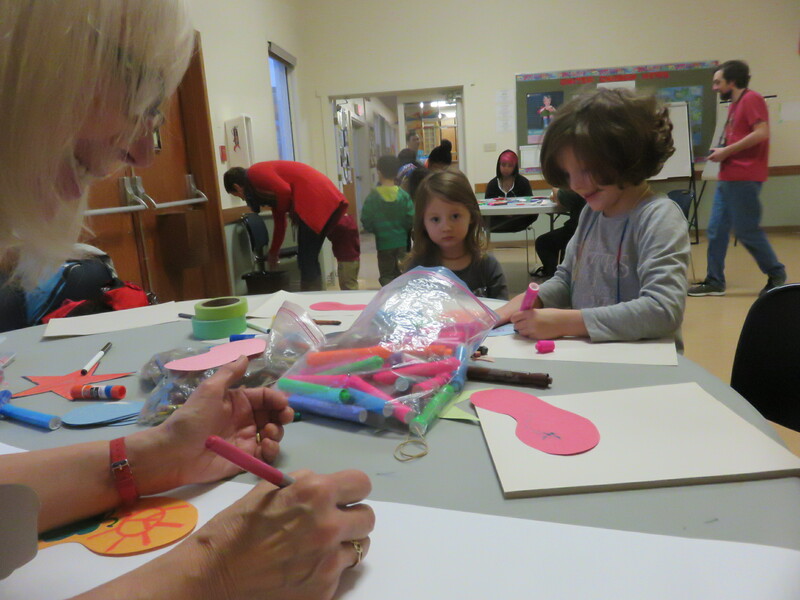 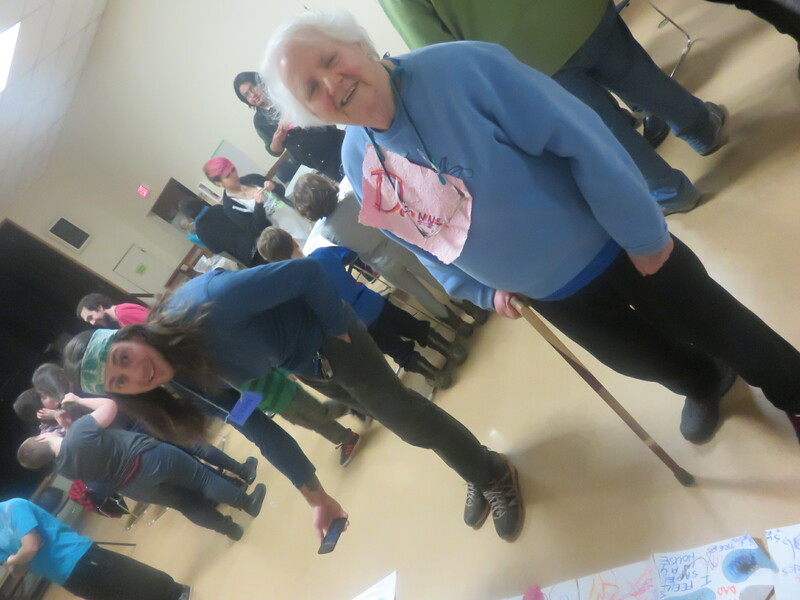 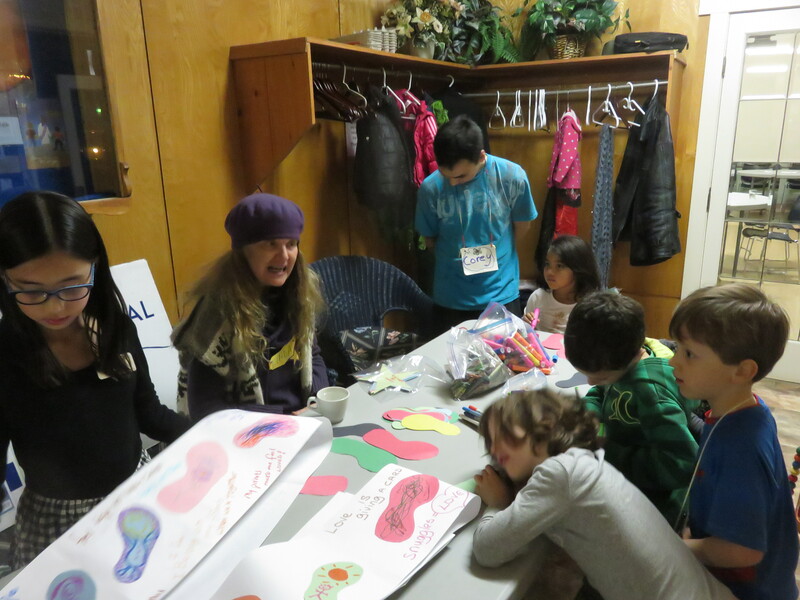 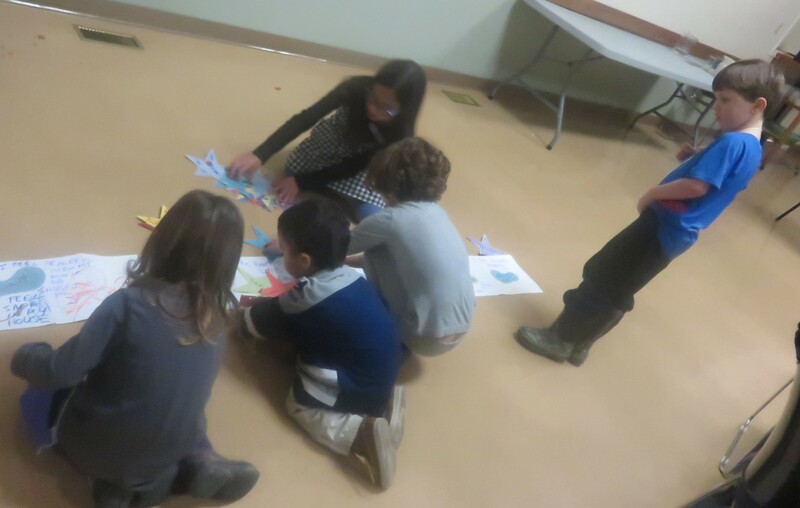 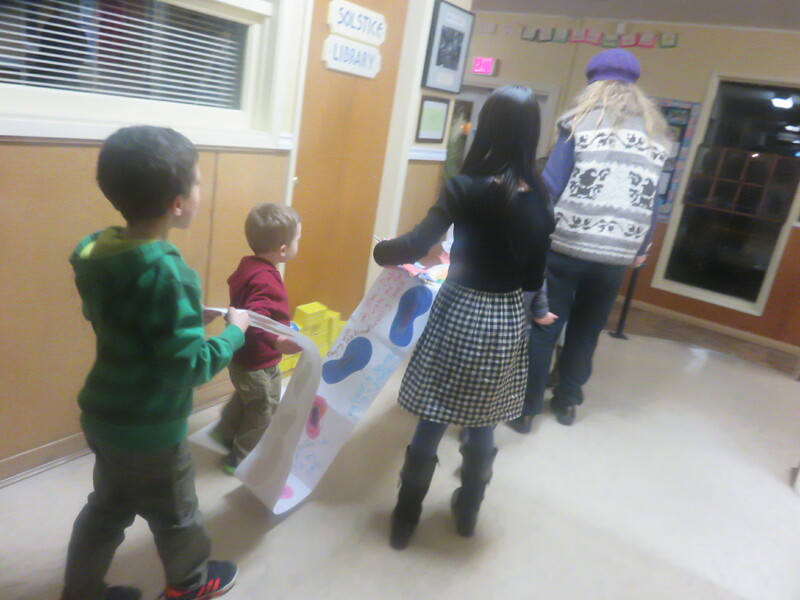 In Duncan, BC the Inclusive Leadership Co-operative joined with the Arcadian Early Learning and Cowichan Intercultural Society to host a family dinner followed by a world cafe that explored visions of “Families First” communities. 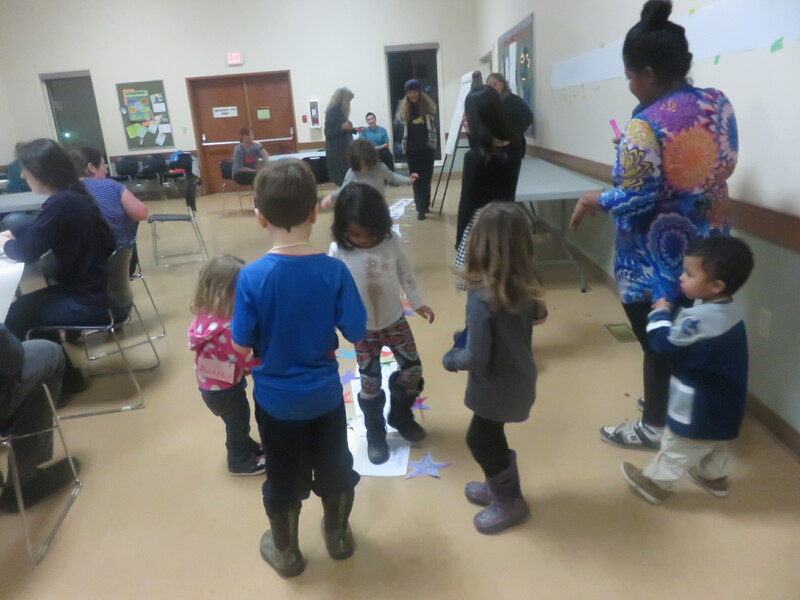 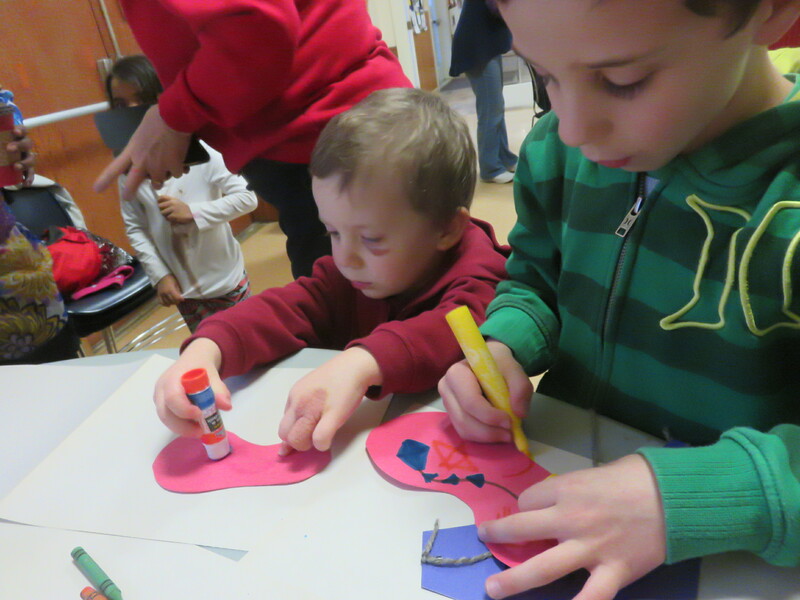 We held a parallel world cafe with the little ones. 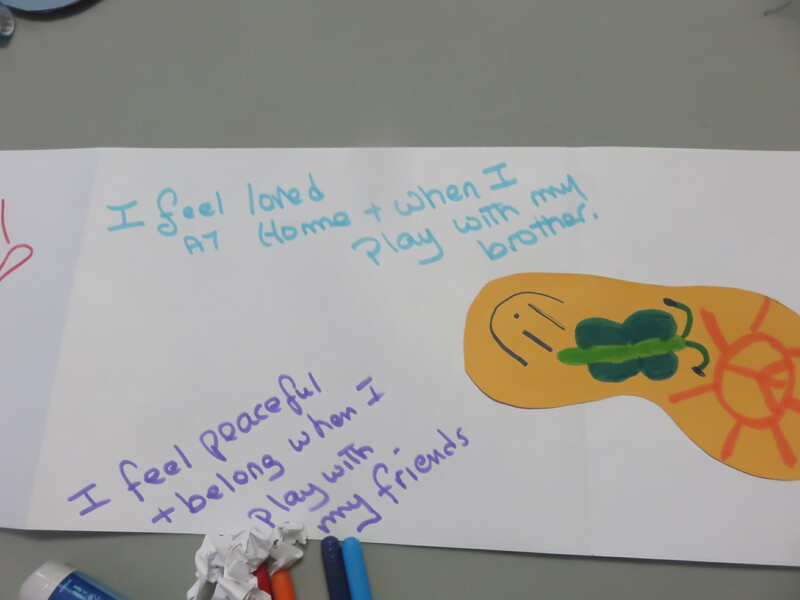 Inclusive Leaders asked open questions and scribed. 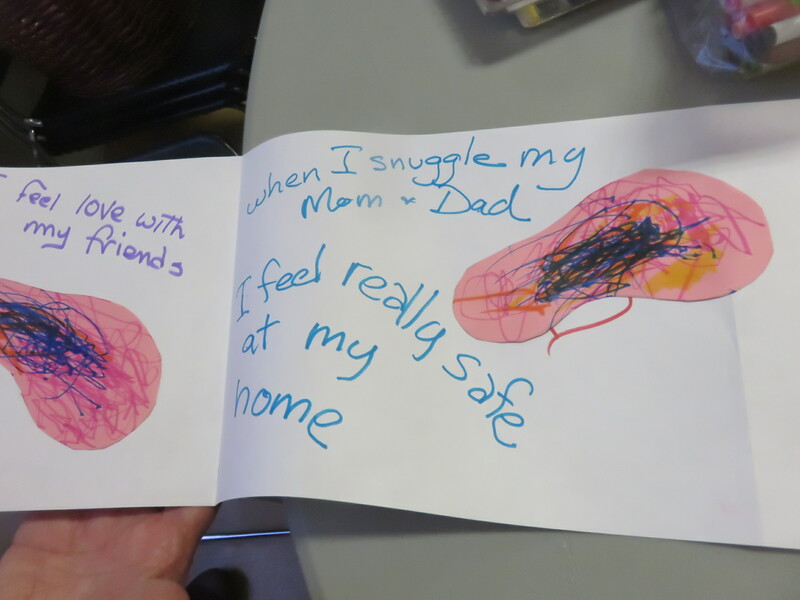 Kids shared through words and art. 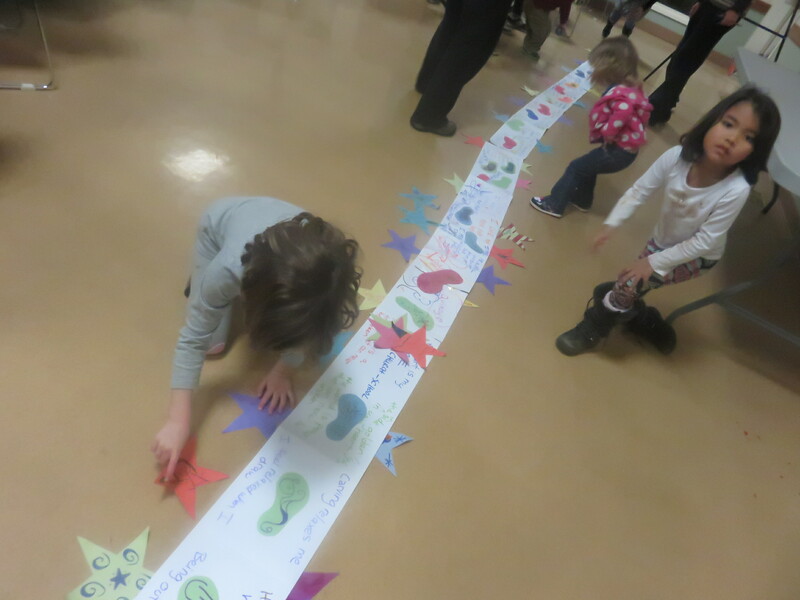 These footsteps represented kids travelling peacefully and safely through their daily lives. 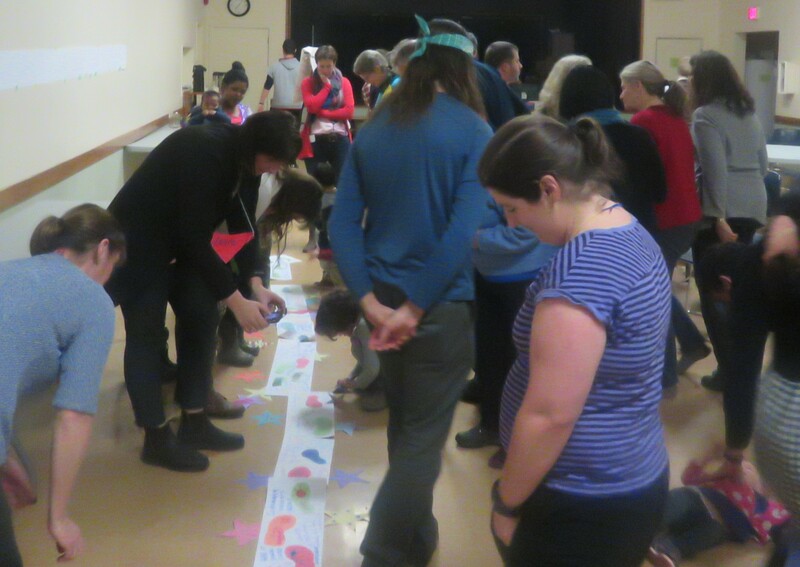 This entry was posted in Inclusive Bridge Building, Inclusive Leaders in Action, Inclusive Leadership skills and tagged Early Childhood, Inclusive Leadership, World Cafe on February 7, 2017 by lindadianahill.